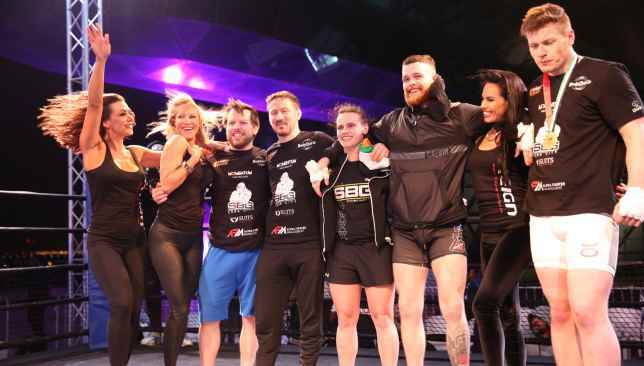 Ireland’s Straight Blast Gym clinched the inaugural Reign MMA Championship in Dubai over the weekend. The team, headed up by world renowned coach, John Kavanagh, got the better of MMA Association Poland. The unique format saw the main card made up of matches pitting fighters from the two teams against each other. Reign MMA Championship is the brainchild of Core, a production company who brought the World’s Ultimate Strongman event to Dubai last year. The event was contested by amateurs, but the quality of both the fights and event as a whole was anything but. Along with hundreds ringside at the Sky Bubble at The Meydan Hotel, more than 10,000 people watched the event through a dedicated livestream. The main event saw a heavyweight clash between Bartosz Zaczeniuk and Irish prospect Ryan Spillane. The Corkman looked confident on his feet early on, but then found himself on his back for much of the round as the Polish fighter looked to impose his will on the floor. After defending well from the bottom position, Spillane was able to sink in a heel hook late in the round and secure an impressive win – topping off a great night for the Irish gym. Earlier in the night, the promotion broke new ground in holding their first women’s MMA bout – a highly competitive battle between SBG’s Dee Begley and MMA Association Poland’s Barbara Grabowska. A tough stand-up match ensued, with the Corkwoman taking a unanimous decision – and helping her team on the way to overall victory. Don Idrees, Owner/CEO at Core Worldwide, was satisfied with the first hosting of the event and is looking forward to what the future holds for the promotion. “We had a fantastic night of quality fights,” he said. Lewandowski brought really strong teams over here, and we very much thank them for that. He is now excited about what the future holds for the fledgling organisation. “We will unquestionably be holding more events,” he said. “Even before this weekend’s event we have had fighters, coaches, gyms and organisations from all over the world get in touch to discuss future opportunities. “The professional level of this sport is dominated by a few companies, so we will continue down the amateur route, and with this team versus team format. The world of football doesn’t always seem to have a great deal of synergy with other businesses. Living in a fantasy land of telephone number transfer fees and highly prized assets, that can be difficult to manage at the best of times, it feels a unique space. However, according to Ben Lyttleton, there are more similarities and learnings than you might think. 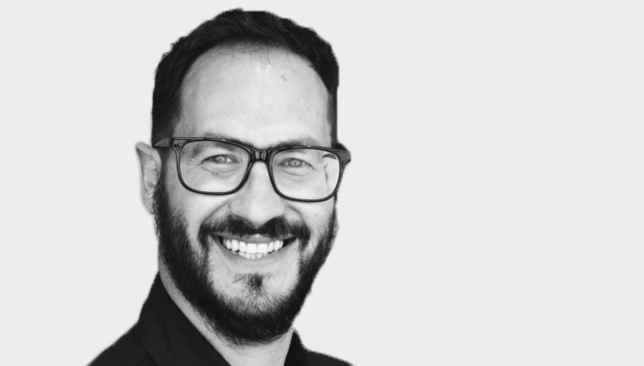 Lyttleton, a British journalist, is the author of Edge: What Business Can Learn from Football – and will be talking on the subject at the Emirates Festival of Literature this Friday. Having spoken to experts across the world of football, Lyttleton draws on a wealth of different viewpoints from some of the most experienced people in the field. One of the areas he discusses is success – and what we consider to be success. He names the example of the pressure Mauricio Pochettino finds himself under at Spurs – despite being well placed in the Premier League and still in the Champions league. “Spurs is a very good example at the moment,” he said. “If you listen to some, you have a coach who is under pressure because he hasn’t won a trophy. The questions to ask are; what is success? How do you define success? And how do you measure success? “No one can look at the work of Pochettino and say he is not successful. You’ve got a team who have not bought a player for two windows, they have been playing away matches for two years, and somehow they are third in the table, and in the last eight in the Champions League. It’s astonishing how successful he has been. “Only one team can win the league, and that is usually the team with the highest wage bill, or the one that is spending a fortune. The way we measure success has to be redefined as well, and I think that goes for all of us – in all our lives. He also looks at the struggles of managing a team that is made up of people from a different generation – something that football and business has to contend with. He discussed the problems seen at Manchester United this season. In business it’s not unusual to fear the loss of your very best talent – much like a football team want to keep hold of a prize striker. Lyttleton says this mustn’t be a concern to good managers – and they much strive to give their best people the opportunity to thrive. “The modern day coach is not just improving players by getting them to run faster and kick harder, which is essentially skills players would already have if they are at top clubs, it’s about improving the intangible qualities like resilience and creativity which are much harder to measure and improve,” he said. “If you outgrow your professional setting you deserve a fresh opportunity to reach higher heights. “The football ecosystem understands that and if you want to get the best out of your talent, there is no way you are going to deny them the opportunity because this player is only going to leave your club for big money if you have got the best out of them – that shouldn’t be a deterrent to developing that talent. “One of the key element of developing talent is opportunity. There is no point having a talent if you are not going to play them. Much like in a professional environment, there is no point having a super-talent graphic designer who is a guru in the office, if you are not going to let them graphic design and do the job they are there for. “It is very difficult in this short term society of hot-takes and if you lose you’re out, and you win you’re the hero, to have the time to develop talent and give it the time it needs to flourish. BEN LYTTLETON: EDGE is at the Emirates Festival of Literature on Friday 8 March, 10am-11am, Al Ras 3, InterContinental, Dubai Festival City. Raelene Castle has one of the toughest jobs in world sport. The CEO of Rugby Australia is arguably presiding over a sport at its lowest ebb for the Green and Gold. Stuttering on the field at national team level, failing to draw crowds on the club scene, and fighting off advances from Aussie rules, cricket, rugby league and even football – rugby union is not in a great place Down Under. After a year in the job, and these challenges not enough – Castle has also found herself at the centre of controversy surrounding one of their biggest assets, Israel Folau. Add to this she’s a Kiwi, and you’ll understand the pressure she finds herself under. A castle is strong of structure however, and this one is no different. Raelene Castle is a giant of Antipodean sport – having held numerous power positions. In 2007 she was appointed CEO of Netball New Zealand, in the six years in that position unprecedented growth followed. Her trademark in the role was innovation in the leadership of the organisation and its governance – and a whopping 66 per cent growth in commercial revenue through broadcast and sponsorship. This success took her to the Canterbury Bulldogs – once again in the role of CEO. 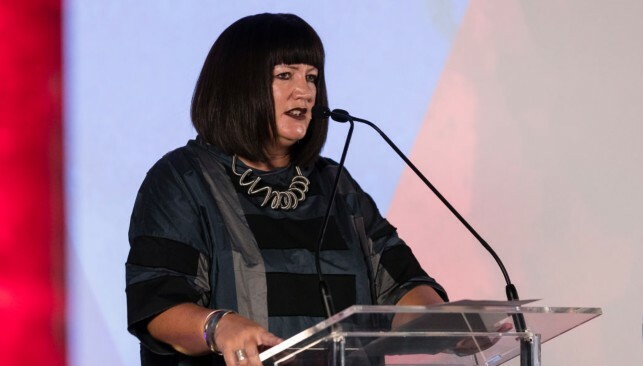 The move made her one of the most influential women in the world of rugby league – in a difficult role, and a club that has always been synonymous for its family ties. Her tenure wasn’t without its tensions and controversies, but she left in 2017 with acknowledgement in the club that she had strengthened it in all parts and had laid a solid platform for her successor. And that leads us to Rugby Australia. A poisoned chalice, or huge opportunity? Some suggest she is fighting an uphill battle, while others say even the smallest of improvements can help cement a real legacy in the role. 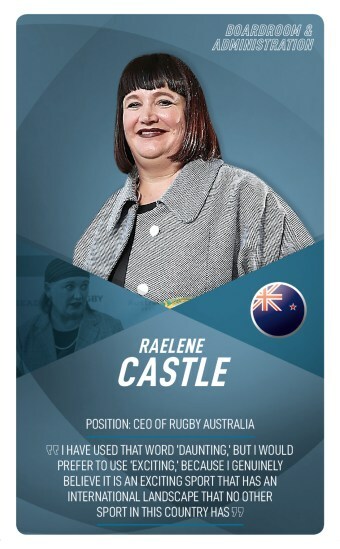 – Castle was the first women to hold the position of CEO in the National Rugby League. – She is an Officer of the New Zealand Order of Merit, for services to sport and business. – Her parents are both renowned sports stars – father, Bruce, captained the NZ Rugby League team, and mum Marlene, represented the country four times at the Commonwealth Games in lawn bowls. Castle suffers from alopecia and has used a variety of extensions wigs, and bandanas to alter her appearance over the years.